NEW! Ask about our Trailer Storage and Warehousing services. On and Off site Trailer Storage Units available, ask for details. 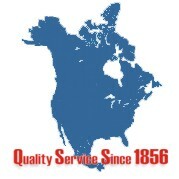 Whitelaw Trucking Freight servicing Oxford CountyOntario Canada and surrounding area Shipping Expedite Warehousing Woodstock, Ingersoll, Innerkip, Tavistock, Embro, London, Kitchener, Hamilton, Cambridge, Waterloo, Toronto, Guelph, Brantford, Middlesex, Brant, Exeter, Windsor, Kingston, Niagara Falls Transportation, Freight, Trucking, Ontario, Canada, Stratford U.S. Bonded, Fast Express, C-TPAT, Carrier, Warehousing, Storage, Truckload LTL / Expedite, Trucking LTL and TL services, Short / Long term storage Ontario Canada, Transport Cross docking, Packaging / Labelling, Order Assembly, Machining, Custom Machine Work, palletizing and inventory control, Packaging Shipping Ontario Canada, Freight, Transport.